While time travel might be one of humanity's greatest advancements, it has also opened the door for nefarious types to try and go back in time and change things. That's just what the Time Breaker is doing, and you're on the hunt to stop them! 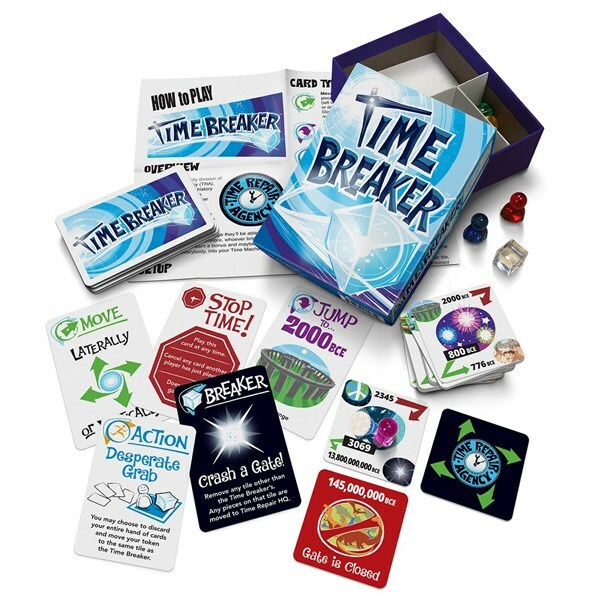 That's the story behind Time Breaker, a new card game that's available now from Looney Labs.